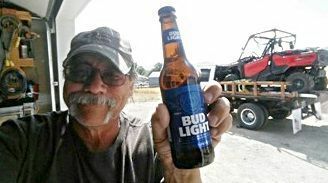 A loving husband, fantastic father and loyal friend passed away on August 25, 2016 at his home while doing one of many things he love to do; planning a 2-month four wheeling adventure. He was a true patriot to his country, an extremely hard worker and irreplaceable friend to all who had the honor of knowing him. He will be sorely missed. He is survived by his loving wife Vicky, sons’ Shane, Jim(Yamit) and Brad(Danielle), grandchildren Ariel, Libby and Mika(Jim) and Raymond(Brad) and brother Ron. A memorial will be held at the Basque Clubhouse in Elko, NV on Saturday September 3rd, 2016 from 10 a.m.-1 p.m. No address for the building so it is across the street of 1280 Golf Course Rd. Elko, NV….large white building, can’t miss it. Please come and celebrate the life of this wonderful man.